Chilliwack – The last of the Chilliwack Metropolitan Orchestra’s Tenth Anniversary Series is on May 27th. The CMO have invited back their very first soloist Janice Fehlauer. She now resides in Texas and has her Phd. Chilliwack born and raised and the CMO are very proud of her. She will be treating you to the Grieg Piano Concerto. 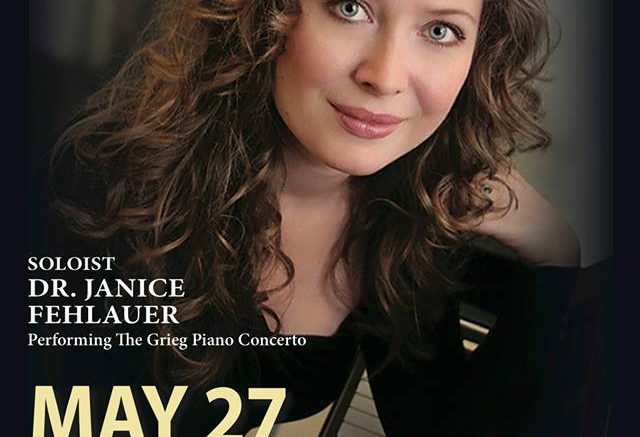 FVN Fraser Valley News is a proud sponsor of this concert. May 27th, 3pm at the GW Graham Theatre. Tickets will be on sale from October 1st. at The Book Man, Kings Music, Long and McQuade and at the GW Graham Theatre door. Series of three concerts for Adults $60.00 and Students $30.00. Single tickets Adults $25.00 and Students $15.00. 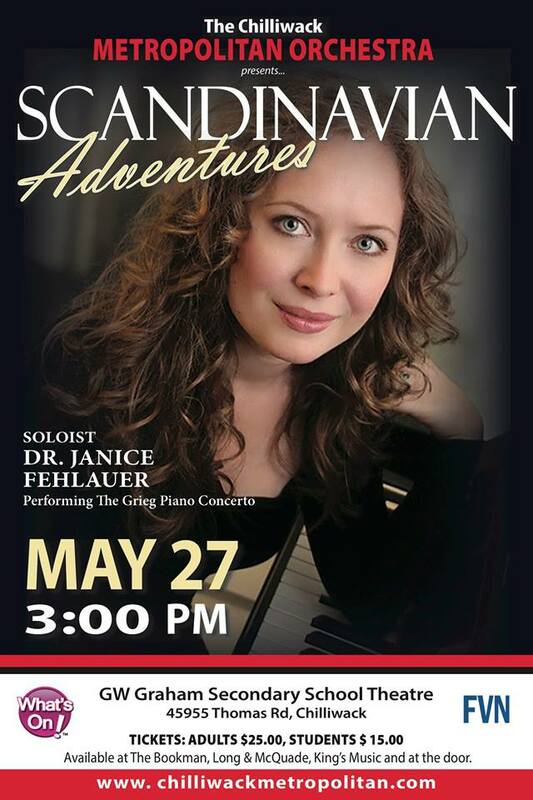 Be the first to comment on "Chilliwack Metropolitan Orchestra Presents Scandinavian Adventures Sunday May 27"